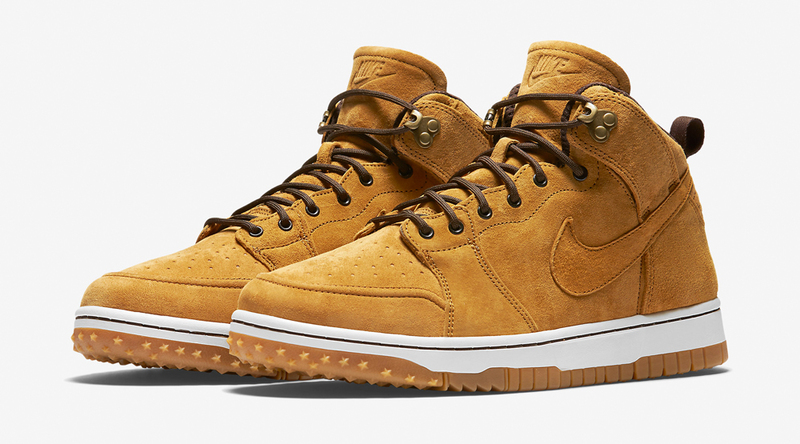 Tough Dunks for the winter. Sneakerboot season is just getting started, meaning that Nike Sportswear probably has plenty more on the way in terms of remixed retro shoes with tough accents. 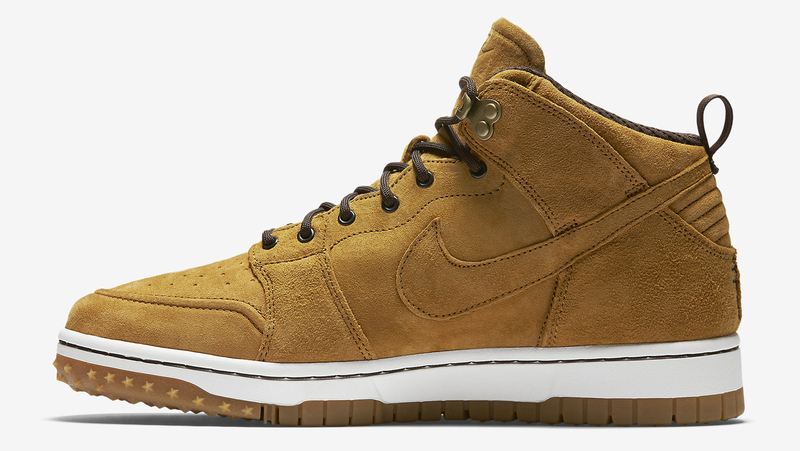 This time around it's dropped a Nike Dunk CMFT that has some Sneakerboot detailing, like the boot lacing and traction pattern on bottom with sticky rubber. 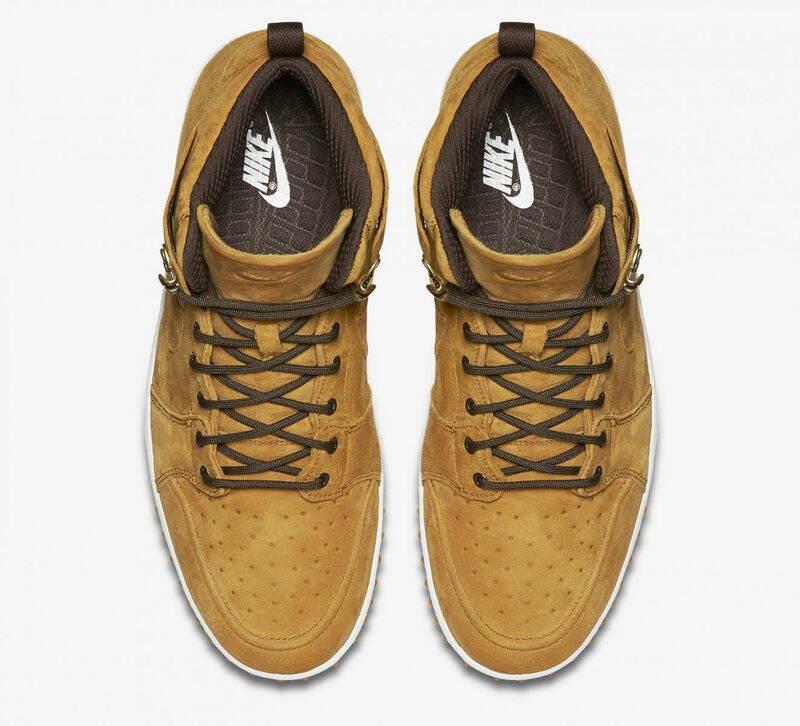 The shoe even rebuilds the toecap, segmenting it where the original Dunk didn't. 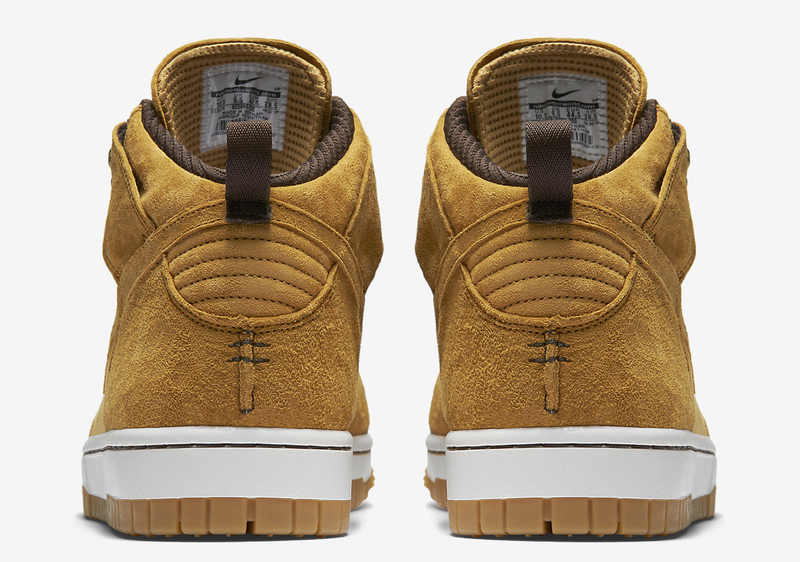 The silhouette arrives here in a "Wheat" colorway the appears to be slightly more nappy on the suede side than previous releases of this ilk. 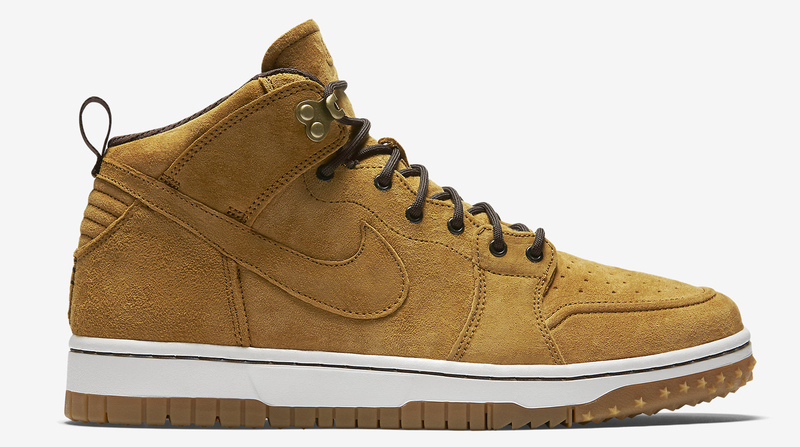 Find this Nike Dunk CMFT Sneakerboot now at Jimmy Jazz.